In the last part of this article, I have given you a rough sketch on the early history of anime during the time when Japanese animators, inspired by foreign animations, first produced the primitive forms of anime. These primitive animes, though they appear totally different from the animes which we are now used to watching, were nonetheless vital in opening the pathway for the early anime industry to make further advancements and improvements. It was only after 1920 when the anime industry in Japan started to take a more definite form, giving rise to numerous new animes in the pre-War Japanese entertainment industry. Unlike other parts of the world during the pre-War era, the animation industry made much further progress than the live-action entertainment industry in Japan. (For those of you who don’t know, the live-action entertainment industry involves the making of movies and serials using real-life actors.) One reason for this fact is because the live-action industry in Japan experienced serious problems in terms of finances, suitable locations for shooting and casting limitations. At that time, Japan did not offer many suitable locations for shooting shows, nor did Japan have sufficient professionals to be involved in the cast for such shows. 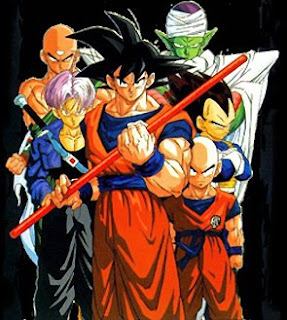 Hence, the Japanese entertainment industry resorted to concentrating more on improving its animation industry, from which it can then create any character and setting to suit the story involved, even if the story requires a fantasy-like setting and set of characters. 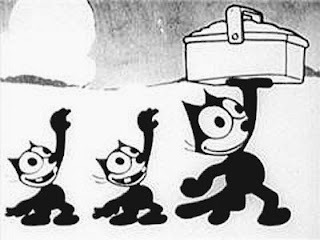 The original American animation made in the 1920s - "Felix the Cat"
Japanese animators of this era considered the black and white style a must in any animations produced. Hence, almost all animes from the 1920s and early 1930s existed only in black and white on theatrical screens. 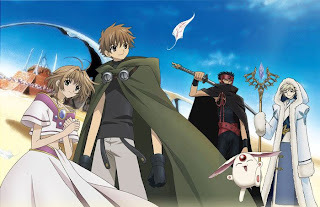 Another common feature of these animes was that their main characters were often personified animals playing complex human roles. Despite the heavy influence of Western animation styles in Japan during this era, most of the animes, if not all, were based on storylines depicting traditional Japanese folk tales and culture. The native Japanese religion of Shintoism became a strong influence in these animes in terms of storyline, in which a significant example is the portrayal of the Shinto sun goddess Amaterasu (天照) in some animes of that era. Quite a number of new Japanese animators started to make their debuts in the 1920s and soon became leading authorities in the field of anime during that era. Among them were four prominent animators who were students of anime pioneer Kitayama Seitaro (北山清太郎), whom I’ve mentioned in Part 1 of this article. These students, namely Murata Yasuji (村田安司), Yamamoto Sanae (山本早苗), Ofuji Nobuo (大藤信郎) and Kimura Hakuzan (木村白山), worked at Kitayama’s animation studio while learning animation techniques from him. 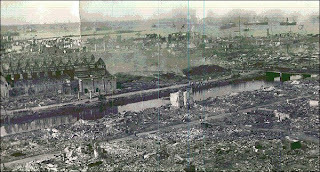 However, the 1923 Great Kanto Earthquake (関東大震災, Kantou Daishinsai), which devastated a big portion of the Kanto Region, including Tokyo, Yokohama and the prefectures of Shizuoka, Chiba and Kanagawa, also destroyed Kitayama’s animation studio. As a result, Kitayama’s four students, along with other assistants and animators, dispersed and established their own studios elsewhere, in which the studios of those four students attained the most success. Numerous anime works were produced by various animators in the 1920s and early 1930s. If I were to cover each and every one of them, this article will surely be a very long one, and most of you may just give up reading it. So, let me just pick out the more prominent ones which generally depict the common features of animes during the era. One of the animes from that era which depicts personified animal characters is “Animal Olympics” (動物オリンピック大会, Doubutsu Orimpikku Taikai) by Murata Yasuji, which was released in 1928. Inspired by the 9th Olympic Games held in the same year in Amsterdam, Netherlands, this hilarious anime runs for a period of 6 minutes. 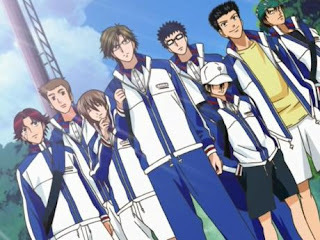 It portrays various animals taking part in different sports events (not to mention cheating in them), while a lion and a tiger oversee the entire games. Another work of Murata Yasuji is “The Grandfather Who Makes the Flowers Bloom” (花咲爺, Hanasaki Jiji), which was released in 1928 as well. This 5-minute anime is adapted from a traditional Japanese folktale which tells the story of an old man who poured some ashes on the roots of a dying cherry tree. This enabled the tree to bloom magnificently once again and in addition to that, buried treasure appeared under its roots. A jealous neighbour then tells this news to the old man’s landlord, who subsequently attempted to do the same thing in order to obtain a treasure as well. However, the ashes blow into the landlord’s face, thus embarrassing him in front of everyone else. “The Legend of Urashima Taro” (浦島太郎) is yet another Japanese folklore which was a favourite amongst Japanese animators at that time. Many animators of that era have adapted and reproduced different versions of the folklore in their animes. This folklore tells the story of a fisherman named Urashima Taro who rescued a turtle, which turned out to be a lovely princess and the daughter of the Emperor of the Sea. As a reward, Taro was granted a visit to the Palace of the Dragon (龍宮城, Ryuuguu-Jou), which was at the bottom of the sea. However, after living for some time there, Taro wanted to go back to the land to see his ageing mother. The princess gave Taro a mysterious box and warned him not to open it. However, when Taro returned to land, he realized that 300 years had passed since the day he left for the palace. His mother and everyone else he knew had died. Taro then opened the box and he then turned into a very old, bearded and hunched man. The voice of the princess then came out from the sea, telling him that the box actually contained his old age. An example of an adaptation of this folklore in animes of the 1920s and early 1930s is “Dreamy Urashima” (夢之浦島, Yume kore Urashima) by Kimura Hakuzan. Released in 1925, this anime tells a version which is slightly different from the original folklore. In this anime, a lazy man went to the beach to do some fishing, when he was taken to an undersea kingdom by a pretty girl who transformed into a turtle. Before returning back to land, he was given a small box as a gift. Upon returning to land, he had aged so much that even his wife and son could no longer recognize him. He then opened the box and a demon appeared, crushing him beneath its fists. At this point, the lazy man woke up from his sleep and realized that it was all a dream, subsequently realizing the dangers of being lazy. Another adaptation of the Japanese folklore “The Legend of Urashima Taro” is the anime “Chinkoroheihei and the Treasure Box” (ちんころ平々玉手箱, Chinkoroheihei Tama Tebako) by Ofuji Nobuo. Released in 1936, this anime tells the tale of a cute puppy named Heihei who was awoken from his sleep by a turtle. He then chased the turtle into the sea and then found himself in an underwater palace ruled by a giant fish king. The guards of the palace tried to destroy this intruder from dry land by cutting portholes at the side of a whale in order to utilize it as a military submarine. Heihei managed to escape by tearing off the rear half of a fish and using it as a tail for himself in order to swim back to land. From the 1920s to the 1930s, a major shift in animation techniques occurred, whereby the cel animation technique gradually became popular, consequently replacing the cut-paper technique and the board-drawing technique which was regularly used in the 1920s. (I mentioned the cut-paper technique in Part 1 of this article.) Basically, the cel animation technique at that time utilized hand-drawn pictures. 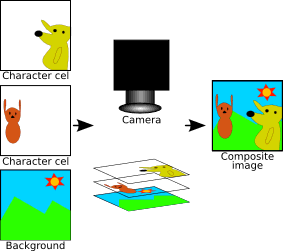 Pictures are drawn on transparent cels, in which these cels are then held against an opaque background and photographed to produce a composite image (see figure below). This process is repeated with characters drawn in different positions on transparent cels, thus producing a series of animated pictures. “Chinkoroheihei and the Treasure Box”, which I have mentioned above, is one of the first few animes which was produced using the cel animation technique. Beginning from the 1930s, animes became more and more politically controlled. Animes bearing educational values and moral stories were supported and funded by the Ministry of Education of Japan. As such, hundreds and thousands of yens were spent for producing such educational animes. 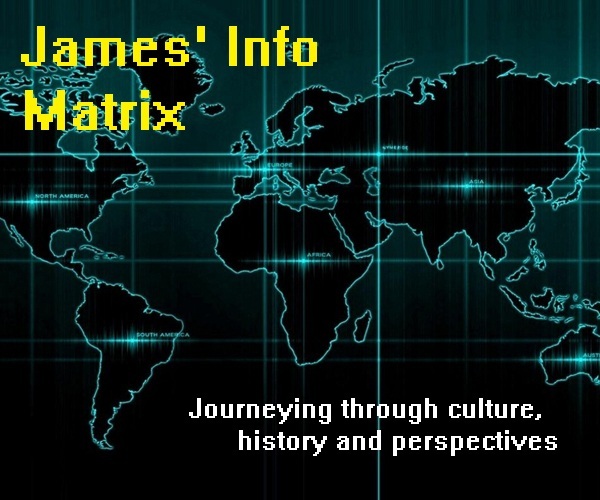 With the continual rise of Japan as an Eastern superpower, the Japanese government at that time imposed strict regulations and censorships on the mass media. Animes were not an exception either. Many smaller animation studios were shut down or fused with bigger ones until only a handful of them remained subsequently. In the 1930s, animes were utilized as propaganda tools to spread Japanese cultural nationalism and patriotism to the nation. From this time on until the end of the Second World War in 1945, animes were frequently used as tools of war propaganda and instruments to spread nationalism. 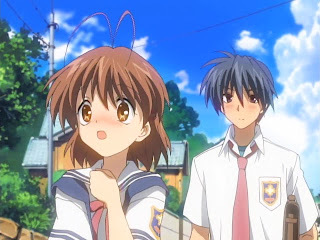 In fact, the funding for animes at that time came more from the Japanese military and naval forces as compared to the Ministry of Education itself. As a result, many animes bearing propagandistic elements were produced, such as “Corporal Norakuro” (のらくろ伍長, Norakuro Gochou, 1934) by Murata Yasuji, which features a dog military squad; “Defeat of the Spies” (スパイ撃滅, Supai Gekimetsu, 1942) by Yamamoto Sanae, which features Japan liberating Asia from the “evil” hands of American President Theodore Roosevelt and British Prime Minister Winston Churchill; “Aerial Ace” (空の荒鷲, Sora no Arawashi, 1938) by Ofuji Nobuo, featuring fighter jet pilots fighting giant clouds resembling Western forces; and “Long Live Japan” (日本万歳, Nippon Banzai, 1943), featuring Western forces scheming plans to conquer a peaceful Asia and the killing of some British soldiers along with the burning of the British Union Jack flag and the American national flag. However, amongst all these propagandistic animes, two of them emerged to be the most prominent ones. 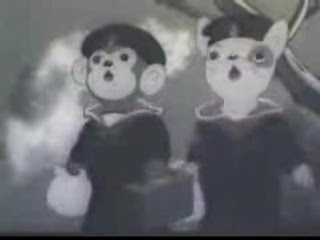 “Momotaro’s Sea Eagles” (桃太郎の海鷲, Momotarou no Umiwashi), which was released in March 1943, became the first ever anime to have a considerable length. While all animes produced before this ran only for a period of not more than 10 minutes, “Momotaro’s Sea Eagles” is the first anime to have far surpassed that standard length. Running for a period of approximately 37 minutes, this anime was produced with the cooperation of the Japanese Naval Ministry. It features Momotaro, the character from a Japanese folklore entitled “Momotaro”, which I have mentioned in Part 1 of this article. In the anime, Momotaro leads a naval squadron comprising of various types of animals in a ship. These various types of animals are said to represent various Asian races fighting together for liberation from Western forces. Momotaro’s naval squadron launches an assault against the demons on the Island of Ogres and succeeds in defeating them. These bulky demons are said to represent “evil” British and Americans trying to destroy the Asians. This war-propaganda anime is deemed to have been inspired by the Japanese army’s attack on the Pearl Harbour in 1941. The second one is “Momotaro’s Divine Sea Warriors” (桃太郎海の神兵, Momotarou Umi no Shinpei), which was released in April 1945. Running for a period of 74 minutes, this war propaganda anime is a sequel to “Momotaro’s Sea Eagles” which was produced before this. Both animes were directed by the same director, Seo Mitsuyo (瀬尾光世). “Momotaro’s Divine Sea Warriors” portrays the same Momotaro and his naval squadron comprising of animals sailing towards Sulawesi Island of Indonesia and defeating the Western Allied Forces (depicted as hideous horned demons), thus liberating both Indonesia and Malaysia (then Malaya) from the control of Western powers. This anime reflected the dream of the Japanese army to liberate the entire Asia from Western occupation – a dream which was barely achieved. Even more ironic is that this propaganda anime was released just a few months before the Second World War ended in September 1945, when Japan surrendered and suffered great losses after the war. So, this is as much as I can write about animes in the pre-War era and during the Second World War, which undoubtedly involved Japan as one of the Axis Powers fighting against the Allied Forces. For some of you whose history knowledge is rotting off, let me just explain here briefly that the Second World War involved the battle between the Allied Forces and the Axis Powers, in which victory finally went to the Allied Forces at the end of the war. Hence, it is no wonder that Japan, being a prominent Axis Power, would utilise animes as a propaganda tool against its main enemies – the Allied Forces – and in particular, the British and the Americans. On top of that, most of the members of the Allied Forces were strong powers colonizing vast lands throughout Asia, thus giving Japan another strong reason for using animes as propaganda tools in its effort to liberate Asia from Western colonial powers. In the subsequent part of this article, I will be covering on the progresses made in the anime industry after World War II and the types of animes produced during the post-War era.